-Keep a routine. Obviously there will be days during vacations or special times when a routine is out of the question. But, for normal summer days try to let kids know what the expectations are and have them stay on a schedule. Getting up every day, having a set list of things to do and then giving them an afternoon of free time is a great way to approach this. Kids thrive on a schedule and often need it to feel stability in their life. -Read all summer long. 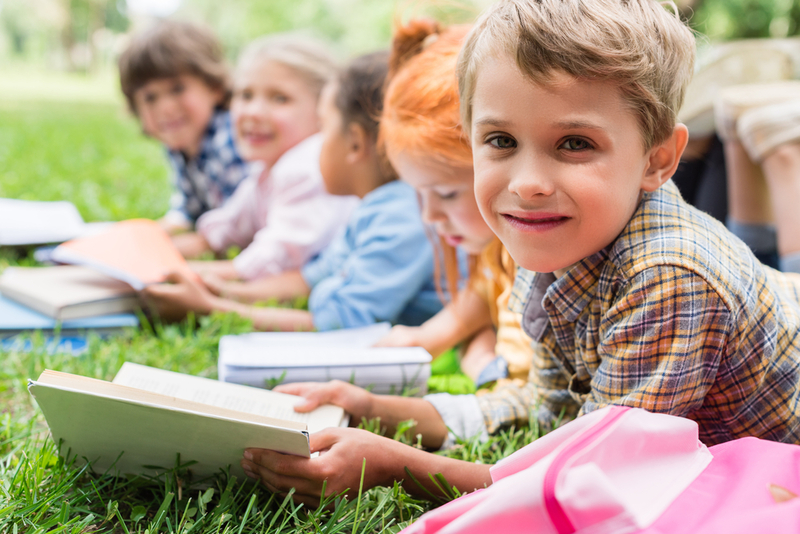 Reading helps kids to retain the information they have learned throughout the year. It also helps them to increase their creativity, their vocabulary and stay interested in learning. Magazines, online resources, books, graphic novels, or even comic books are all good ways to engage their minds and provide opportunities for learning. -Find them a penpal! There are programs like Students of the World that help international students find a penpal that they can get to know, learn from and develop a relationship with from a totally different part of the world. Learning about other cultures can help kids be more accepting, more creative, increase curiosity and become a more understanding, adventurous adult. These programs give them the opportunity to express themselves as well as they teach their new foreign friend about their world and who they are! -Limit screen time. Pediatricians recommend that children have no more than two hours of screen time per day. This is also true in summertime. Just because children are home and have more free time doesn’t mean it should be spent playing video games all day. It is also recommended that tvs and electronics not be placed in children’s bedrooms. Open areas where the family can easily see what is going on is the safest approach for internet and electronic use. -Have children help with everyday planning. Meal planning, vacation planning, family movie night planning – these are all ways to engage children and give them real life experience that can help them stay motivated to learn. Plus, this offers them the chance to understand what you do for them! They can learn to appreciate what it’s like to be an adult and learn skills that can help them in life. -Help them earn money. Whether they are old enough for a real job or just need an opportunity to learn responsibility, earning money and learning to manage it is a vital skill in life. Often during the school year children are too busy to do this. Summertime provides a chance for kids to earn and learn while having fun! Things like lemonade stands, bake sales, car washes, walking dogs, mowing lawns or babysitting provide opportunities for growth and learning. We hope these tips will help your family have a summer worth remembering. At Lice Clinics of America we love our community and are always looking for ways to strength the families who make it strong. Happy Summer! Parents: What NOT to Say When Kids Have Head Lice Head Lice Keep Coming Back to Bite You?